A dump truck driver in North Carolina has been charged in the death of a teacher from Wake Forest, NC. The woman died in late March in a chain reaction truck crash on US 1/Capital Blvd in Raleigh NC. The woman was driving her minivan and was rear ended at high speed by the dump truck. The force of the crash slammed her minivan into the rear of a tractor trailer in front of her. The minivan was crushed and destroyed. The dump truck driver was arrested in late March and was charged with misdemeanor death by motor vehicle and failure to reduce speed. The minivan driver was either slowing down or had stopped when the accident happened. 911 calls hours before the accident have been released, where at least three drivers stated that the dump truck was driving recklessly, and the driver appeared to be drunk. Our truck accident attorneys are very sorry about the loss of this woman’s life, apparently at the hands of a very reckless and negligent truck driver. 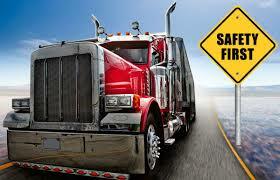 Anyone who possesses a commercial driver’s license has an obligation to drive safely. As the open page of the Virginia CDL manual states, truck driver must have proper education, special skills and a professional attitude. “As a professional truck driver, you play a key role in transporting people and goods safely.’ How sad for the grieving family of this woman that this truck driver apparently had such a callous disregard for human life. While there is nothing the family or anyone else can do to bring back that precious life, at the very least, the family can file a wrongful death lawsuit against the truck driver and the trucking company. Wrongful death lawsuits can result in multi-million dollar settlements, especially when the truck driver acted in a particularly reckless way, as this case could indicate. Punitive damages could be added to any award to punish the driver for his egregiously reckless behavior.